In February, Iran is celebrating its 40th anniversary since independence. For Iran, independence has been a mixed success. Between 1953 and 1978, it was effectively ruled by a sovereign monarch. The state is presently dominated by clerics beginning with Ruhollah Khomeini, a radical Muslim cleric, in 1979. While the clerics supported an Islamic Revolution, its emphasis has been culturally conservative and overwhelmingly neoliberal, fostering close relationships with western nations and their conglomerates, despite being hit by sanctions time and again. Unlike a democracy, Iran is a theocratic authoritarian unitary government in many ways Westerners cannot begin to understand. As Supreme Leader, Ali Khamenei heads the Islamic Revolutionary Guard Corps and related services. Numerous political foes, journalists, and religious groups have been crushed. NGO leaders are arrested and left to die in jail. Nevertheless, Iran’s leadership is consistantly pro-business, evident in how President Hassan Rouhani relies upon Supreme Leader Ali Khamenei who has amassed a huge private fortune. Notwithstanding the sanctions imposed by the western powers and the United Nations, Iran has continued to develop nuclear energy as part of its renewable energy portfolio. However the United States views Iran’s nuclear programme as a potential vehicle for nuclear weapons development, since the process still involves uranium fuel rods. Under Iran’s first conservative populist candidate, President Mahmoud Ahmadinejad, the nuclear program became a bargaining chip. After years of international negotiations, under the leadership of then-President Obama and -Secretary of State John Kerry, the Joint Comprehensive Plan of Action (JCPOA) or Iran Nuclear Accord was finally signed in 2015. In 2018, however, President Trump effectively nullified the JCPOA by reinstituting unilateral sanctions. The White House dislikes Iran’s support of Syrian troops and their testing of new missiles. Since June, waves of sanctions have been placed, targeting automobiles, foreign currency, and gold. The second wave, which went into effect in November 2018, is aimed at Iran’s oil exports and banks. At the crossroads of a cultural heritage opportunity such as by engaging in its cultural heritage along the One Belt and Road Initiative corridor what can Iran do to revitalize its economy while genuinely helping the rural poor displaced from once thriving farm communities? What can be more at stake besides increasing fossil fuel output? The increased use of diesel-powered water pumps after World War II depleted underground aquifers at a rate faster than they could be replenished. 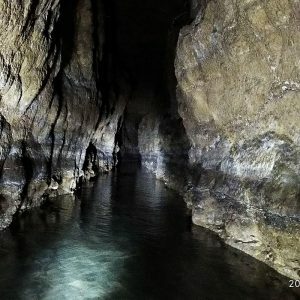 Many qanats—the famous underground irrigation tunnels that had supported Iranian life for thousands of years—were no longer maintained, and water sources were lost as underground water levels subsided. Qanats are the ancient underground canal systems, which have existed since its earliest settlements 5,000 to 7,000 years ago. Carved in stone, sourced from the mountains, carefully planned for balanced conveyance and withdrawal along access points for tens of miles, many qualify as world heritage sites or at least as Iran’s greatest civil engineering contribution. Today, instead of a paradisiacal land based on agriculture, fruit culture, husbandry, and handicrafts, whole villages are vacating due to the unholistic applications of modern well-technology development. This was corroborated in reports such as “Qanats and Pumped Wells: The Case of Assad’a bad, Hamadan” by Eckart Ehlers and Abbas Saidi in 1989. The case study reveals the collapse of qanat systems. Before the first diesel pumps, in 1950, there were a recorded 109 qanats in Assadabad. After 1968, the researchers found only 26 working qanats. Unequal access to water and over-pumping rendered useless traditional water rights, and pointless the professional maintenance of the qanat systems. The often careless exploitation of only slowly renewable water resources has caused severe damage to the whole hydrologic cycle. It is surprising that shah-i amigh, constructed by fifteen rural khordeh malek in the village of Djanatabad, is the one which lowers the water table the least. 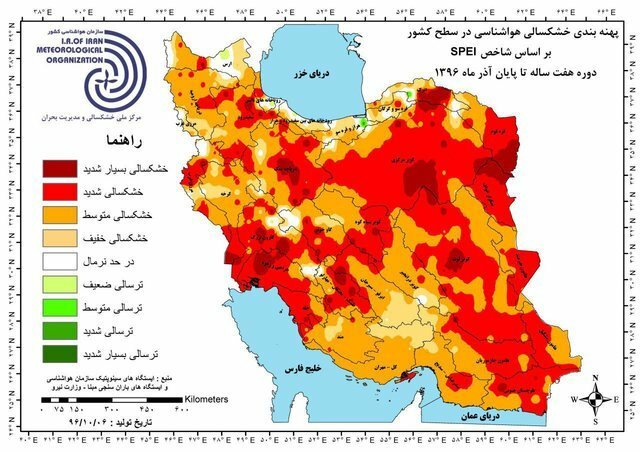 According to official statistics, some 750,000 deep wells are now operational in Iran, 330,000 of which are illegal. An estimated 70 percent of the groundwater has been extracted and what remains is often brackish, or worse. For example, significant areas in Kerman Province that once produced substantial numbers of pistachios and dates can no longer grow those crops. A qanat not only forms its own social system, but anyone who has tasted cold clean water from one of the qanats in Hamadan would certainly not like to drink the silty, dusty water of the Euphrates River. One of the themes in the ecological approach is ‘adaptive.’ The qanat system is a way of adaptation. 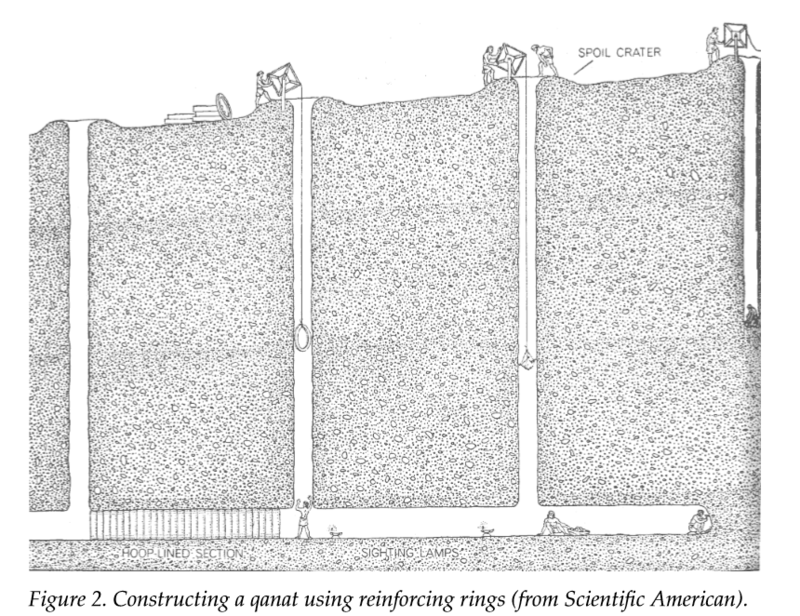 The qanat has enabled humans to adapt to the extreme environment of the arid zones. 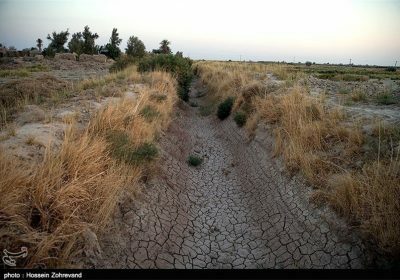 While Iranians such as Dr. Honari argue for the preservation and expansion of qanats, they constitute a small minority because it is in direct conflict with the modern approach and post-modern approaches supporting accelerated destruction of both biotic and nonbiotic environments as good for the advancement of civilization. Dr. Honari’s vision calls for a holistic worldwide geographic distribution of qanats and international cooperation to protect and establish them in relevant settlements in arid parts of the world. He believes Iran should export qanats as the country’s contribution to low-impact technology: with careful regional water planning including checks and small dams, groundwater tables in fragile ecosystems could be replenished by natural energy. While there are many other issues, such as the dramatic reduction in water fowl to consider, water is the greatest of all ecological concerns. Many scientists and environmental engineers are beginning to connect past long-term droughts with ecological collapse. Could global climate change spell the end of humanity? According to “Ten Civilizations or Nations that Collapsed from Drought,” the Middle East, particularly Syria was prone to the calamity of drought as far back as 2200 years ago, based on sediment records taken at archeological sites. Even the civil war in Syria links to the nation’s devastating drought beginning in 1998. Typical of other civilizations preceding collapse due to drought, there is mass human migration, which precipitates social conflicts, and political instability flaring into human slaughter. Time and again, political chaos and repression characterized civilizations such as the Mayan, the Anasazi, the Sonoran, and other Native American Indian societies before dramatic declines. While the United States and other western nations continue to believe that financial-technological wizardry can overcome the ills of nature, many environmentalists recognize that there is little time left for research and development because political leaders have frittered away by several decades the implementation of common-sense solutions. Whether it is the miracle of 5G, the internet of things, or energy absorbing solar windows, why must traditional funding and profit mechanisms or market forces continue to dictate which changes are made and how soon? Ignored are factors in the externalization of natural costs increasingly borne by growing numbers of climate refugees whether from Africa, Near East, Pacific Islands, or Central America. In the Southwest and in California’s Central Valley, the effects of drought, overexploitation of water supply, and air pollution are creating sinking land elevations and ill health. Even while U.S. geospatial technology and research by NASA are the best in the world, the establishment media refuses to consider the scale of potential disaster or support such public discussions. 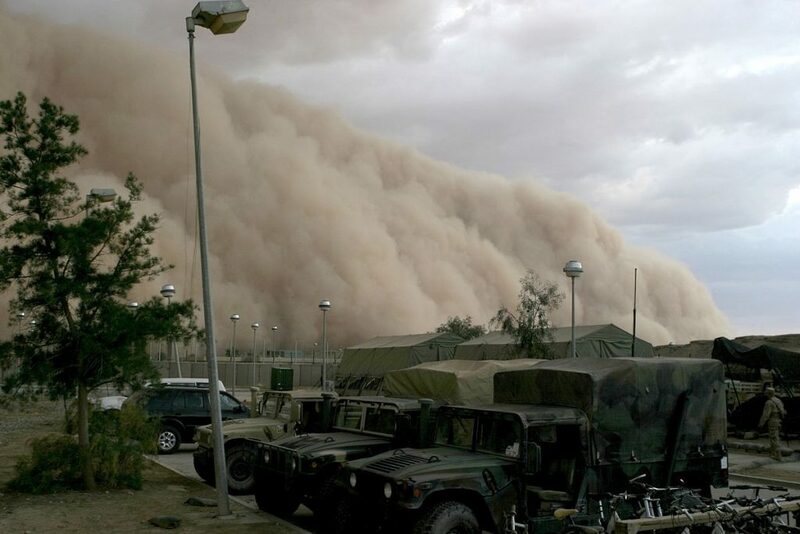 As for Iran, while it may be able to counter the current round of sanctions, it cannot prevent intensifying sand and dust storms blowing in from the Sahara Desert. The public is dealing with record summer heatwaves, so hot it has made impractical the raising of summer crops. According to Al Jazeera, neighboring Iraq is also suffering from water shortages. Both the Tigris and Euphrates Rivers are becoming too shallow for fish to survive, and hence for fishermen to make a living. Wartime pollution, and dam-building upstream in Turkey has caused the water levels to be reduced by 40 percent in the past twenty years. When farmers and fishermen cannot make a living, they are forced to move to urban areas, and the countries in the fertile crescent are now importing more wheat, basic foodstuffs, and fish than ever before.